Princess Alexandra of Hanover, the granddaughter of Grace Kelly, has become a Roman Catholic. 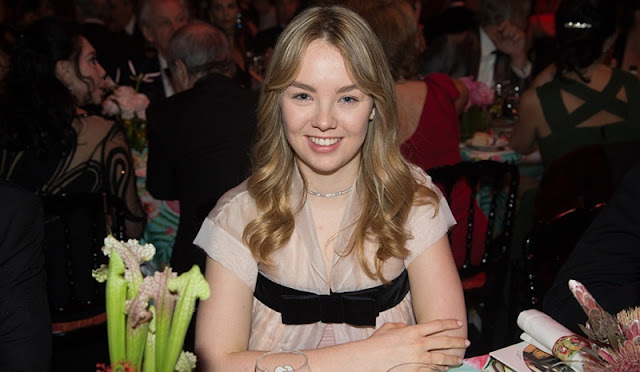 The 19-year-old princess She is the daughter of Prince Ernst August of Hanover and Princess Caroline of Monaco. At age 19, the Princess decided to convert from Lutheranism, the religion of her father, to Roman Catholicism, the religion of her mother. She was thus removed from the British line of succession. She still remains the 12th in the line of succession to the Monegasque throne. Princess Alexandra of Hanover is the only child of Prince Ernst August of Hanover and Princess Caroline of Monaco. She was born on July 20, 1999, at Vöcklabruck, in Upper Austria. Princess Caroline has four children but Princess Alexandra is the only one to hold any royal title. She was baptized as a Lutheran on 19 September 1999 by Horst Hirschler, the Landesbischof of the Evangelical-Lutheran Church of Hanover. Her godparents are her paternal aunt Alexandra, Princess of Leiningen, maternal half-sister Charlotte Casiraghi, Ulrike Ulmschneider, Maryam Sachs, Virginia Gallico, George Condo, and Eric Maier. Princess Alexandra’s uncle is Albert II, the sovereign of Monaco. On her father’s side, she is a descendant of both Queen Victoria of Great Britain and Emperor Wilhelm II of Germany. There continues to be ban on Catholics and other non-Protestants becoming sovereign according to the Church of England. Edited from royalcentral.co.uk and Point de Vue-magazine.